Doing your online transaction is simpler than ever! Please note that Secure Device and/or SMS OTP is still required when you perform certain transactions that require a higher level of authentication. 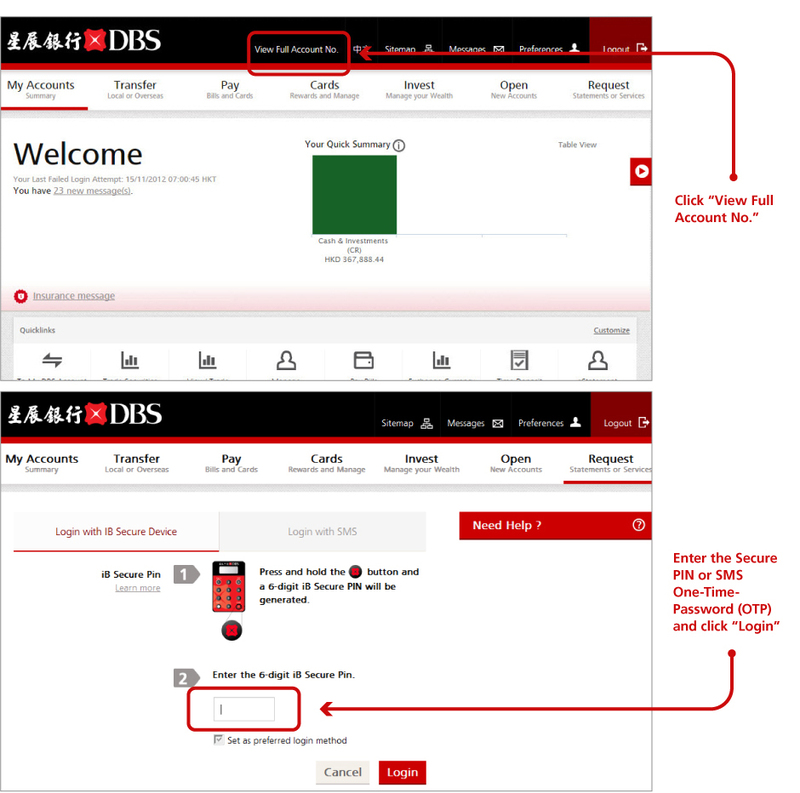 The moment you become a DBS iBanking customer, you'll be automatically covered by this guarantee. 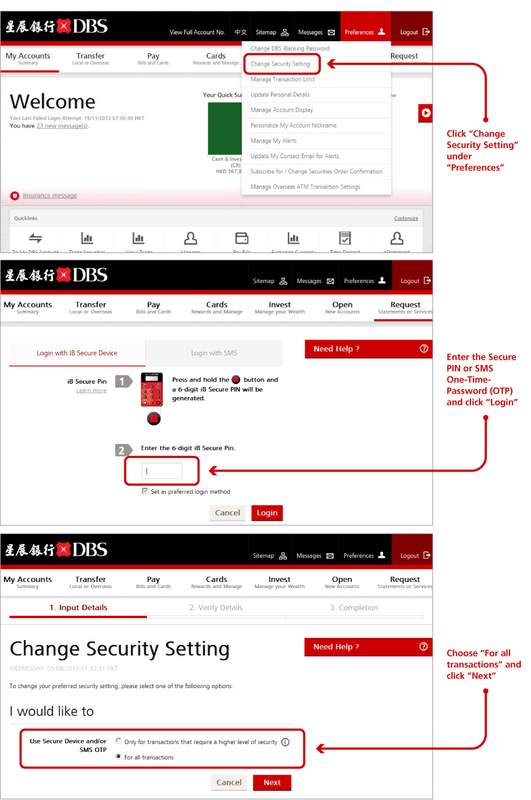 If you prefer a higher level of transaction security, you can simply follow the steps below. Once completed, apart from the authentication measure of requiring your username and password on the login page, you will be required to input Secure PIN / SMS OTP in order to access account information or perform transactions from next login.